1. To inspire teachers to use Common Core in a creative way to integrate ELA and Science in the 3/5 grade band. 2. 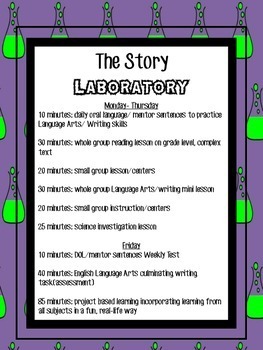 To inform students/parents of what to expect each day in the classroom. 3. To hang in the classroom for reference.